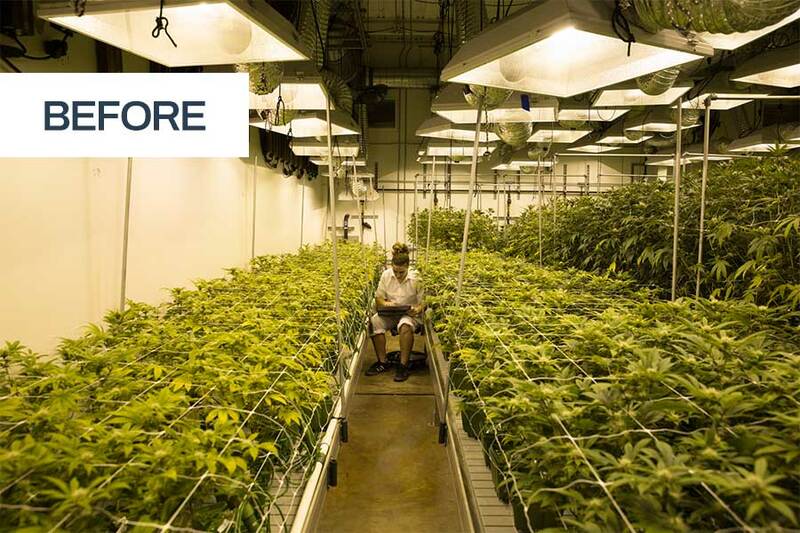 Spacesaver helps design a commercial grow room setup that saves space, increases yields, and promotes employee comfort and safety. Real estate costs are soaring, so optimizing space can have a huge impact on your bottom line. 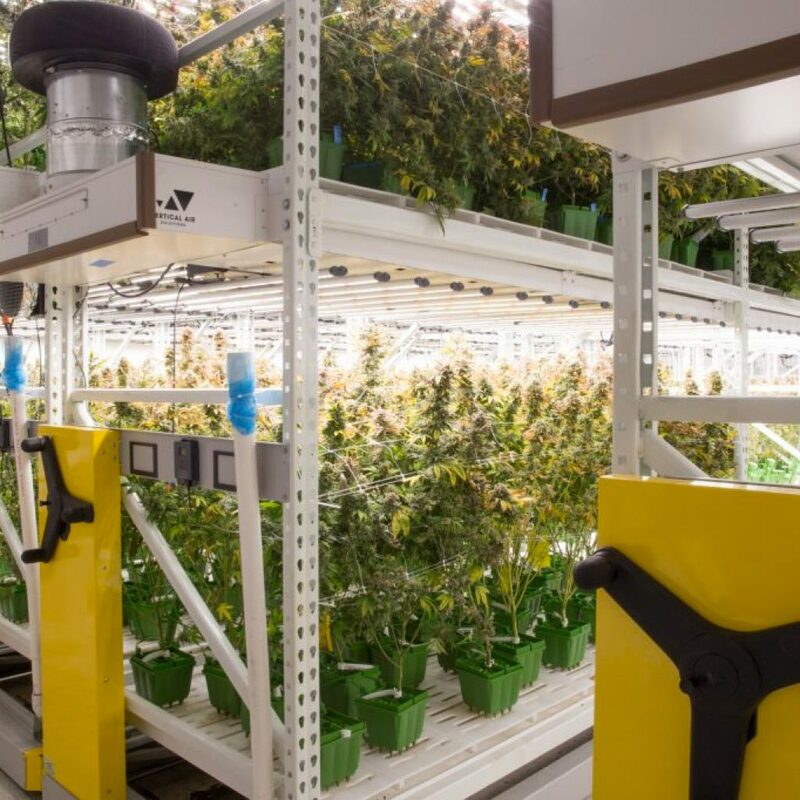 This indoor cannabis grow uses Spacesaver’s ActivRAC® Mobilized Storage System to gain higher yields and streamline workflows, without having to build expensive additions or construct a new facility. 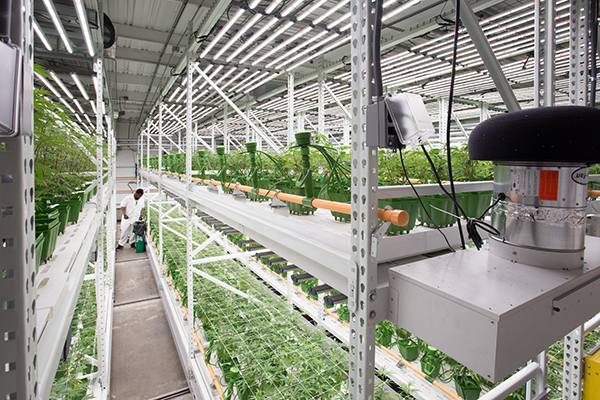 Beyond real estate expenses, the growers have to keep the air inside the building controlled for temperature and humidity. The larger the facility, the higher the costs, so saving space is important. The growers’ first attempt at saving space involved placing plants on low tables. The aisles were narrow and cramped, and the tables were too wide for the employees to comfortably reach across. 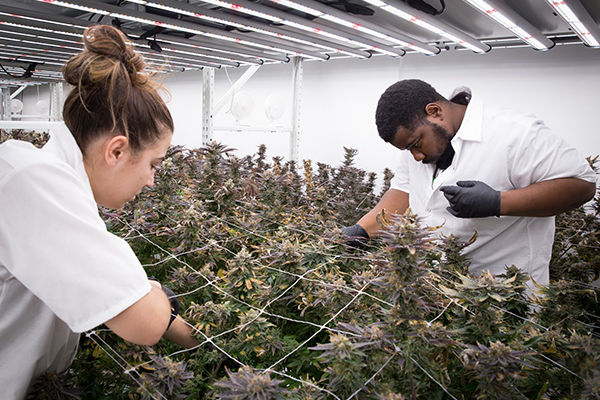 The new commercial grow room setup doubled the growing area and improved working conditions. Two levels of Spacesaver’s wide-span shelving on the ActivRAC® Mobilized Shelving System formed the core of the new floorplan. 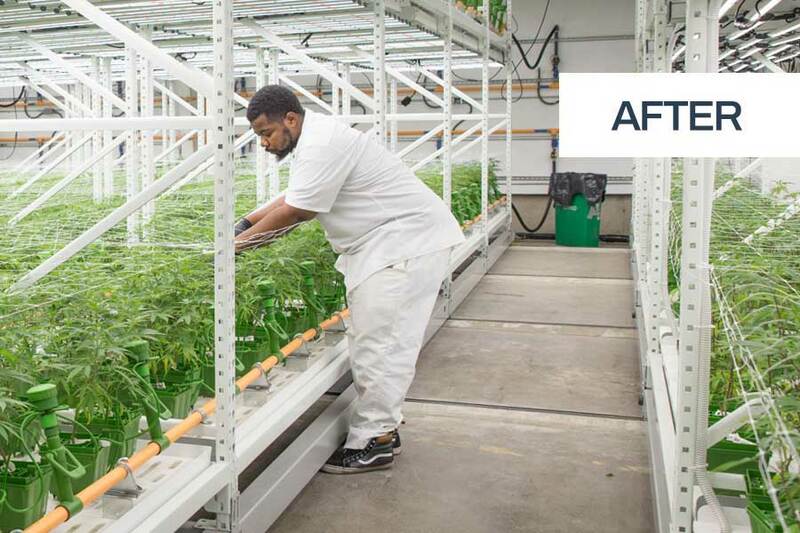 The company’s owners worked with the local Spacesaver consultant to design a new grow room floorplan using ActivRAC. The ActivRAC system consists of shelving or pallet racking mounted on “carriages” that move along rails installed into or on top of the floor. Save space. Increase yields. Help keep employees happy and healthy. 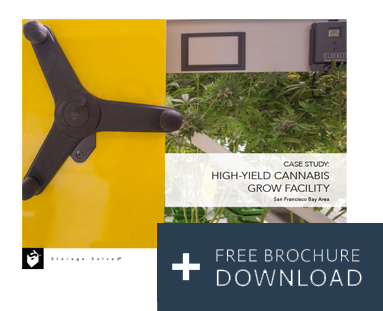 Download the full story to see how our systems have performed day after day, year after year, in this California medical cannabis grow facility. Every Spacesaver system is custom designed to make the best use of available space. The rows in this facility are 42 feet long, and staff are able to move the rows effortlessly with mechanical-assist handles. Because the Spacesaver system is so strong, it’s able to support multiple levels of plants, lights, fans, and irrigation systems. 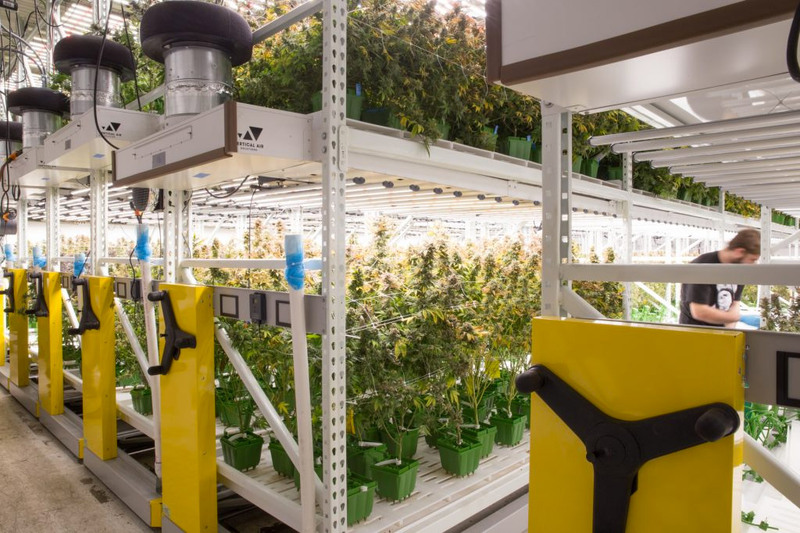 This facility opted for two levels, dramatically increasing yields. 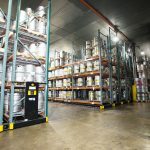 Spacesaver’s experience with industrial warehouses throughout North America has resulted in a robust, reliable system that allows users to move heavy loads with ease. 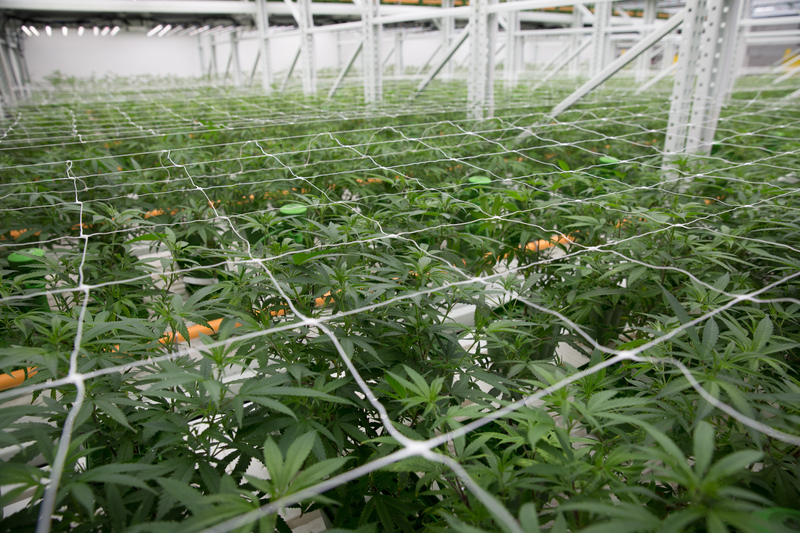 Trellises and netting help keep the cannabis plants from sprawling into the aisles, where they might get bumped or broken. 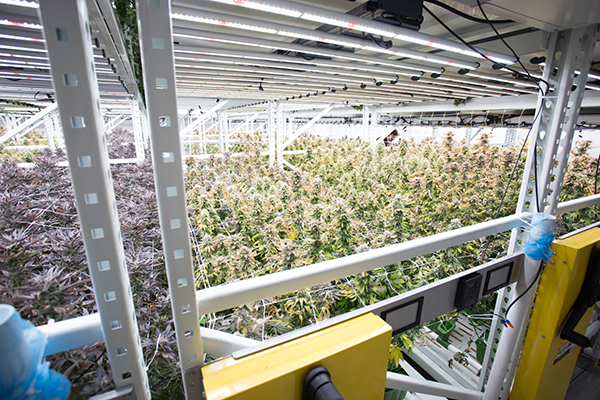 This facility grows taller strains on the bottom rows and smaller strains on the upper level. 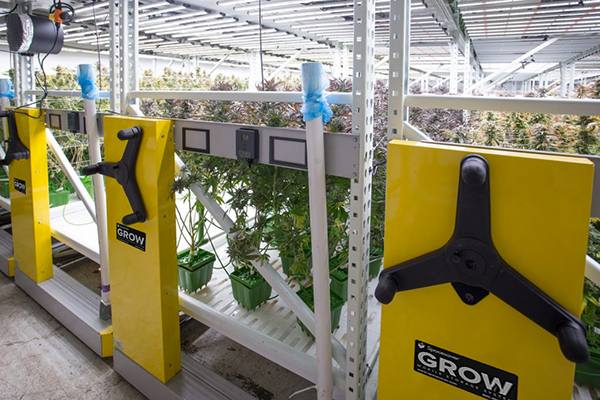 The increased productivity in one flower room justified the need for more ActivRAC systems in additional rooms. In each case we worked with staff to minimize disruption and downtime, timing new system installation to coincide with the end of each room’s harvest. 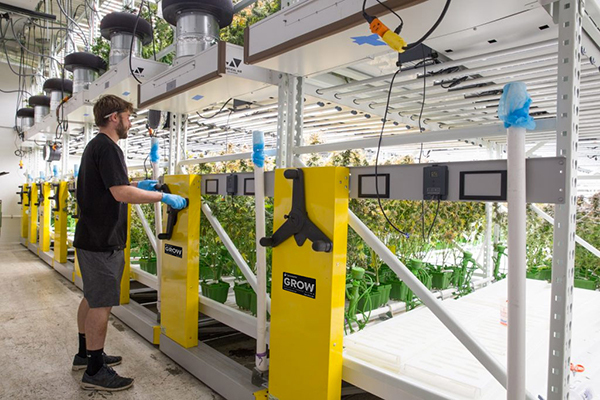 The new flower room setup features four-foot-wide tables that make it easy for employees to reach every plant. Aisles can be opened and locked for safety, and aisle widths can be adjusted as needed. 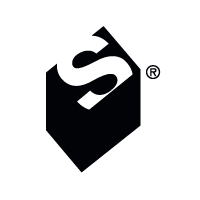 Spacesaver’s team has decades of experience in working with architects, builders, and local officials to ensure that our systems are in compliance with applicable codes and regulations. Staff use mechanical-assist handles to open aisles wherever they’re needed. The aisles are wide enough to allow multiple employees to work on both sides of the rows. 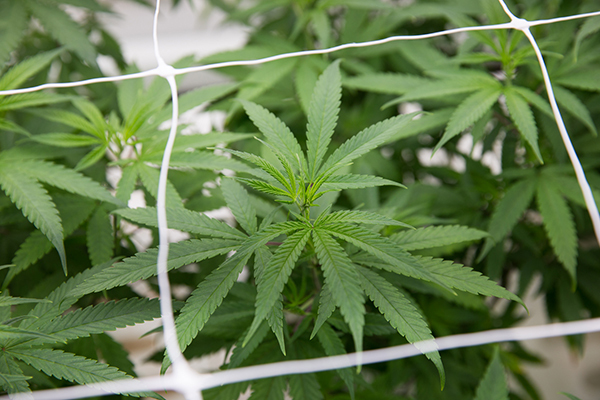 Proper spacing allows all the plants to get adequate exposure to light, which encourages bud formation. Are you ready to grow more? Contact us for a free, on-site consultation to learn how to maximize space and boost yields.